I wonder if the cart delivered the rocks? I was looking for a photo a while ago and saw my last holiday photos folder. I have always wanted to do something with them otherwise they just sit there and no one ever sees them. I thought I would start with some of the Italy photos. Not the usual tourist ones but just interesting stuff I photographed. I hope you find them interesting too. I took a lot of photos from the train as it rocketed through the countryside at up to 300kph. 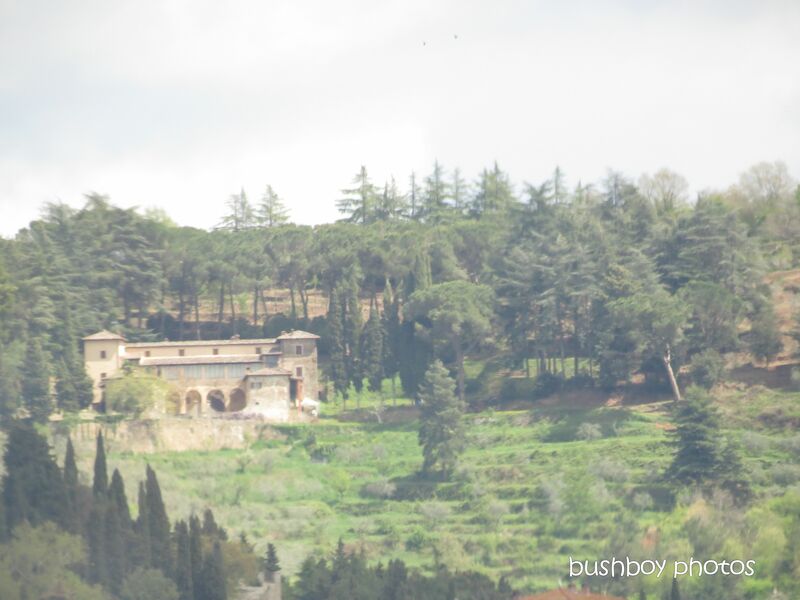 I like this one of a Tuscan villa as it almost looks like a painting. This is unchanged, the raw photo. 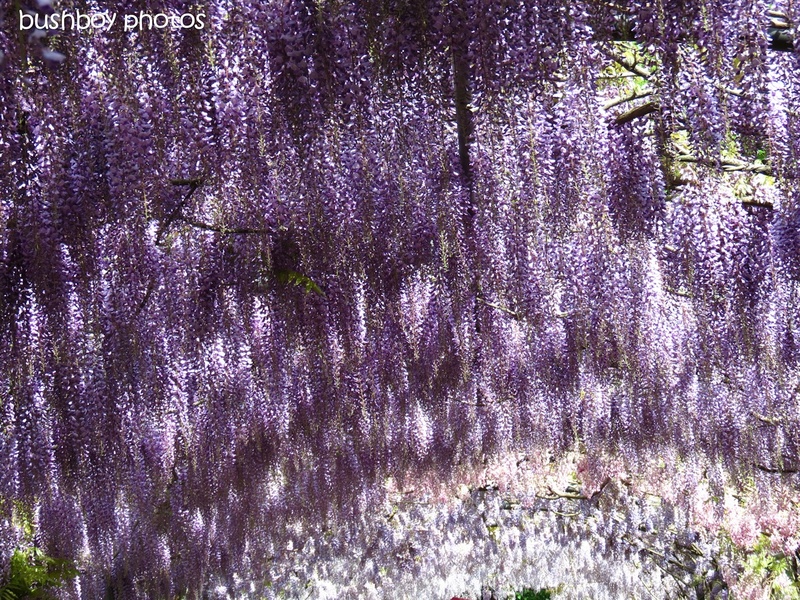 I found this colonnade of wisteria in a garden in Florence, the Gardenia Boldini. The light coming through the flowers looked very surreal. I like the look of courtyards that are hidden away from the street. To get to this courtyard was a walk down a tunnel under the buildings. 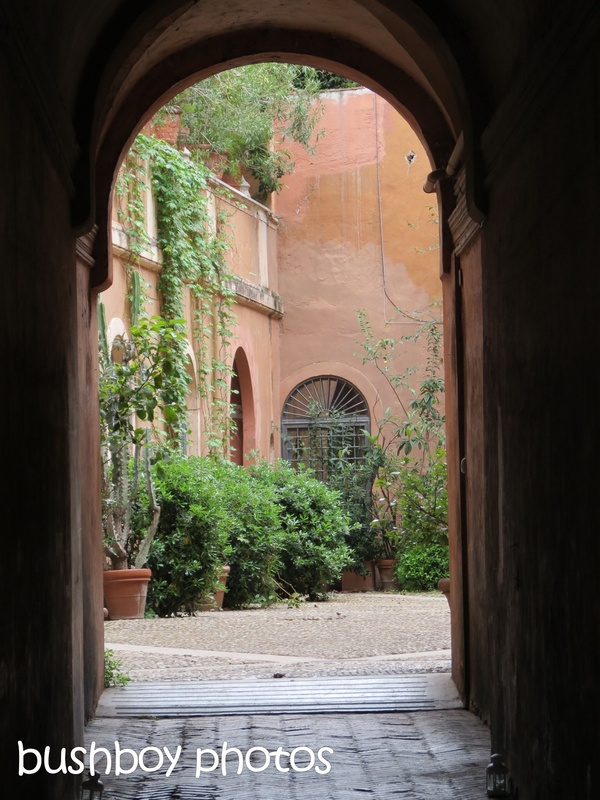 I am sure I have a number of “down the tunnel into a courtyard” photos. Just walking down the side streets of Verona often yields something different. 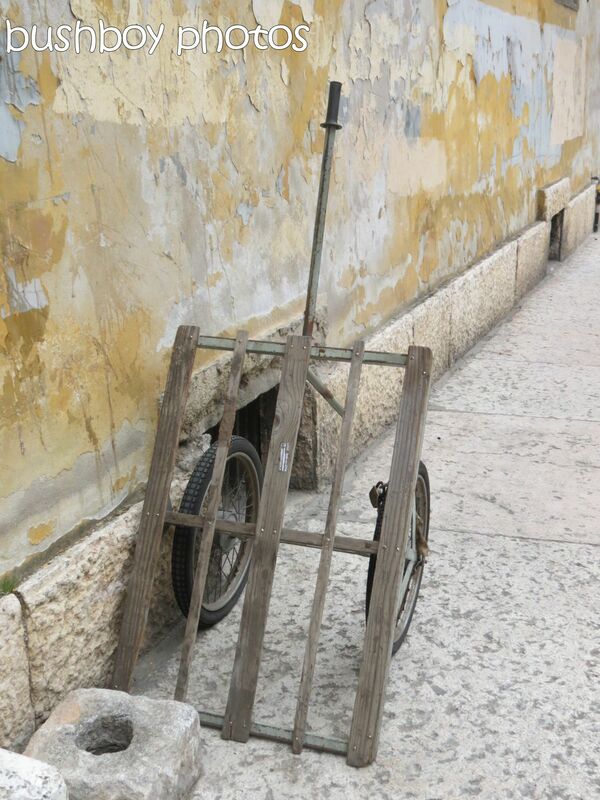 This cart was just there beside that wonderful coloured wall. Everywhere are shutters. 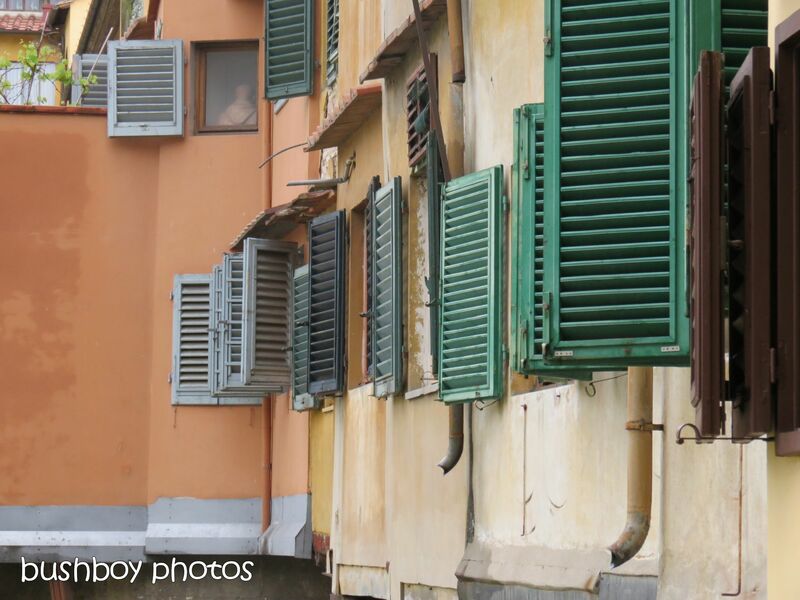 These shutters were on the Ponte Veicchio in Florence. 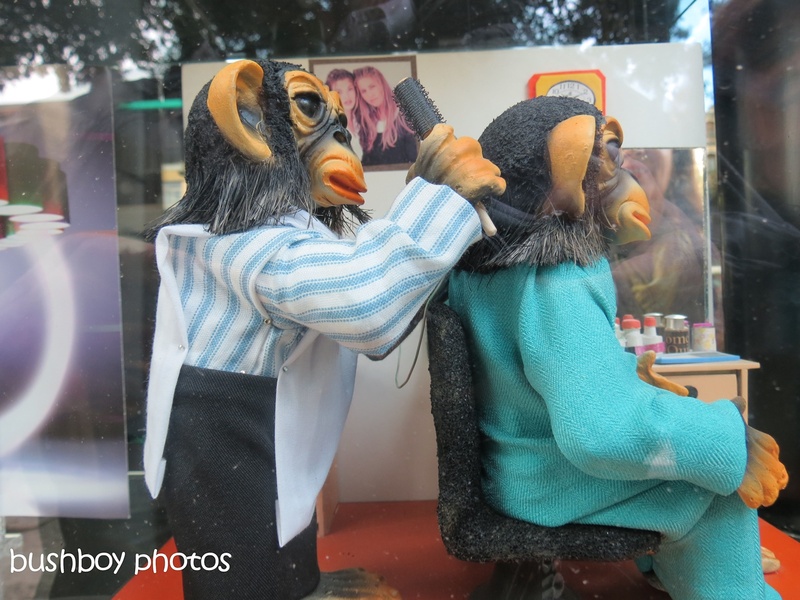 Yes, this was in the window of a hairdressers in Verona. No need to say more!!! 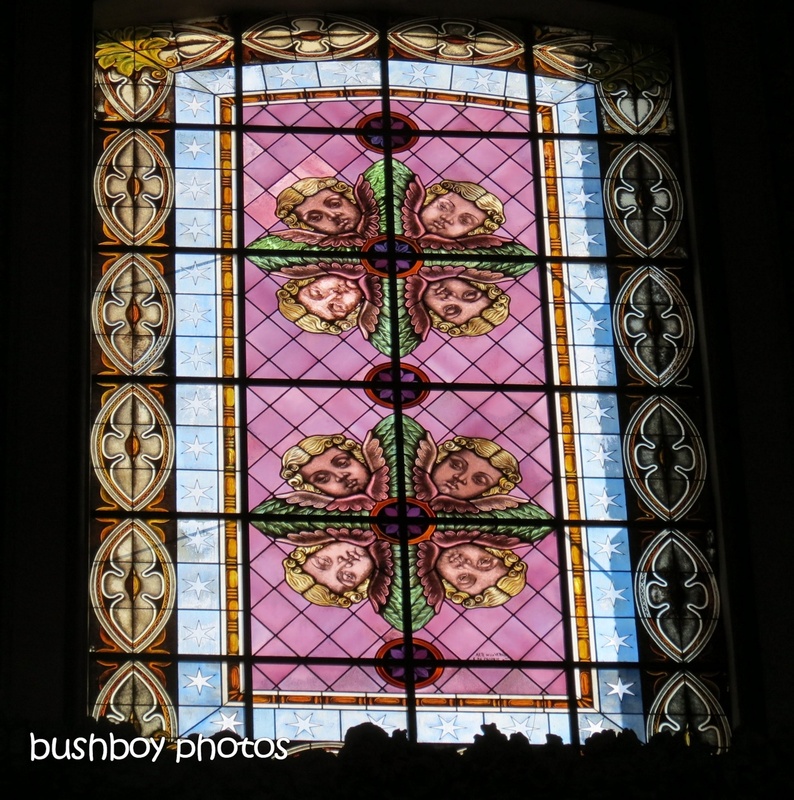 There are tons of photos of stained glass windows. I was going to do a blog of just stained glass window so here is a taste. 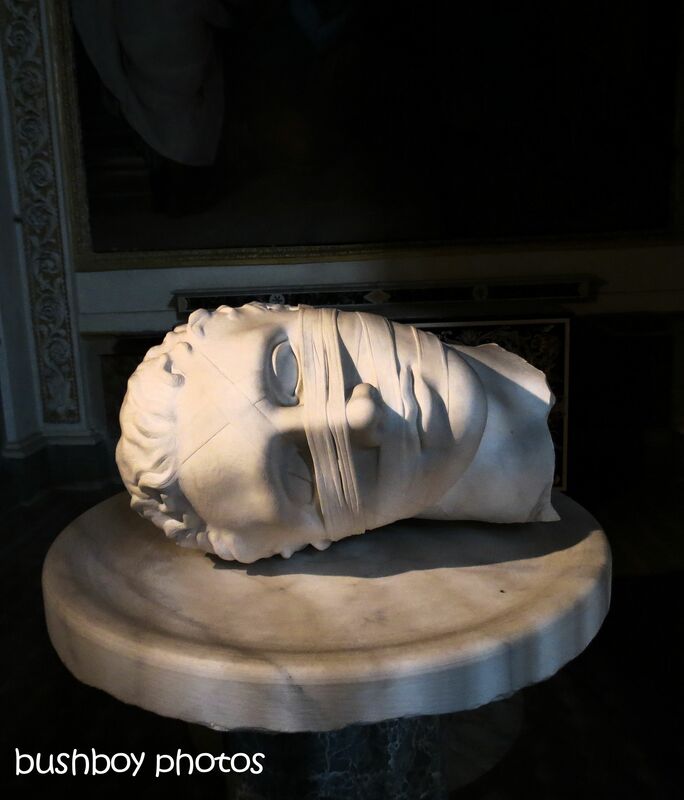 Some sculptures were quite different to others. I have no idea about this just that it was on a marble table like that. It was in a Basilica in Rome. 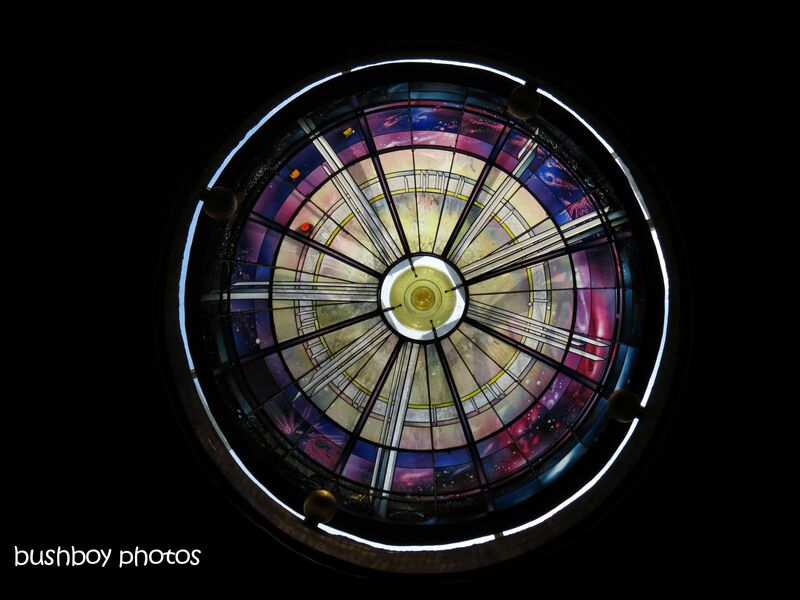 This is my favourite stained glass photo which was in the ceiling in a church in Rome. Well thats a taste of Italy of things I found. I am so looking forward to going again.